Oh great, more of the West Coast bias that's destroying the sport. We need more representation from southern teams - 80% is too damn low! And now number of uniform combinations becomes part of the CFP calculus. or at least hte look of the uniforms, poor maryland. CFP...Under Armour and Addidas schools need not apply. I have very little confidence in the CFP selection process. The wide open, undefined criterion is maddening. Concerning Ohio State, just win the next game and control your own destiny. Beat Oregon State. This is exactly my issue with it. The criteria has changed every year since its inception, and this past year they completely threw out said criteria to get Bama in. I don't honestly think OSU deserved the spot because they were wildly inconsistent and would hate to see the Iowa game team show up, but wanting Bama/Clemson round 3 is no basis for picking the playoff teams. If any other team would have had that record against that weak schedule with their last game being a loss, any other team would not have gotten in. You guys are hilarious. When did they CFP Committee get it wrong? Certainly not in 2014, when they picked the Bucks and certainly not this year when they picked Bama. Are you mad that they didn’t dip down and take scUM? I've reread my post a few times, and must have missed where I said they got it wrong. Can you show me where I said that? The same people who were screaming that Ohio State didn't belong in 2014 because they played a "weak schedule", that OU didn't belong in 2015 because they didn't play in a conference title game, that Ohio State didn't belong in 16 because they didn't play for a conference title and also Washington that year because they played a weak schedule, are the same people who say Bama deserved it. They used that gifted appearance with the extra week to do what Saban does best. They won it all, but many Bama supporters were the loudest among those saying Ohio State didn't belong when they won in 14. When this Duck quacks a tale, I’m sure that this Buckshot forum will be just the place to address his shortcomings. When is Gene stepping down? Yeah, I wouldn't want to be him the next time the Pac gets shut out and he has to meet the other Pac AD's in some meeting. Then again, he'll probably just conspire to leave out the B1G and the B12. New formula is going to be 2 SEC's and 2 others. Bama always in, and if they don't win the SEC the SEC champ must get in; that's a fact. I think the PAC 12 got a lot better with Sumlin and Kelly joining the ranks. Those 2 are going to win a lot of games in an otherwise easy conference. USC isn’t a top 8 team nationally, and that’s the best team in the conference. Yup - unequivocally holcutt runs the worst athletic department in the big12. What he was doing on the committee is unequivocally stupid, unequivocally. It is unequivocal that he was allowed on that committee, unanimous! Why didn't they just appoint Phil Knight to the committee? The CFB playoff decision, brought to you by Nike. Ohio State has never lost to Oregon. Imagine if Ohio State hadn't had four turnovers back in 2015. Establish transparent criteria binding to the committee members or it is a despotic regime. No better than the elections conducted in the former East Germany actually. Those too also had one candidate only the ticket from the beginning. "The minute we stop expecting greatness, we become Wisconsin." What's this "playoff" thing? 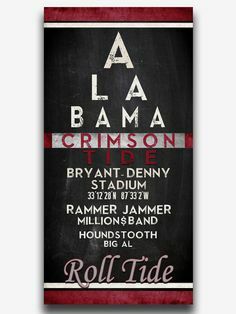 Are you talking about the 'Bama Invitational? Well beating Oregon State should impress, no? If you really look closely at his front two teeth, he looks more like Beaver than a Duck! Congrats Mr. Mullens - how 'bout the first order of business is to get rid of the old eye test chart. The College Football Playoff Committee announced Wednesday that it had found a new man ready to lie to the American public about rankings when it tapped Oregon athletic director Rob Mullens as its new chairman. Welp, there goes my comment, first sentence in.